There’s been a ton of stuff written about the passing of Bernie Wrightson, from his wonderful Frankenstein adaptation, to his work on Swamp Thing, Creepshow, Batman, Stephen King’s The Stand, etc… I can’t add much to that conversation, but let me relay these few stories. First, I have a theory that the drawn image can not horrify. 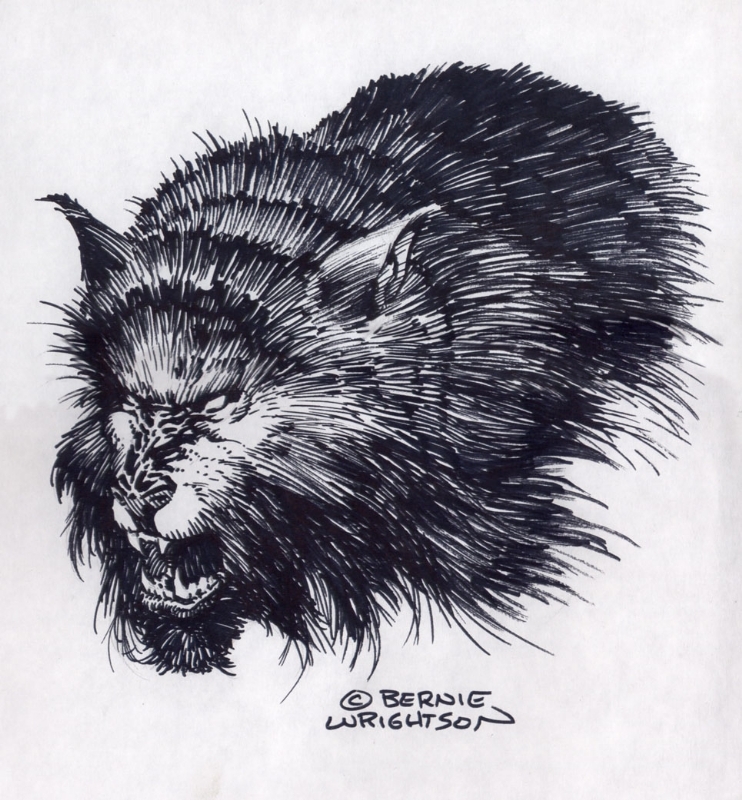 It’s static, and something that can’t move isn’t scary… unless it’s drawn by Bernie Wrightson. I remember being at camp as a kid, where someone had a horror comic (I want to say it was Creepy, but it could have been something else) drawn by BW— I had nightmares for weeks. That lead to my love of his work on House of Mystery, and specifically Swamp Thing. The man could draw seriously, scary stuff. Second, I bought a video when I was in high school (yes, I’m old- deal), of interviews with comic artists and writers about the art form. Neal Adams, Will Eisner, Frank Miller, etc… and Bernie. I paraphrase, but he said something like “It’s not someone with a bloody axe in a hockey mask that scares me, but the guy standing at a bus stop with a drop of blood on his shoe.” It took me 20 years to ever get on a bus again. A) He drew the werewolf while supporting his own wrist with his other hand. I had been told he was still having problems with his grip after a car accident. B) He did the drawing with a dull tipped, Sharpie marker- a notoriously, overly saturating pen. Getting nice lines like these is almost impossible with one of those, even with a brand new tip on the marker. C) If all that isn’t enough, Bernie, for some unknown reason, decided to do the drawing (as complicated as the one above), on a paper towel. A paper towel! Paper, specifically designed to be, the most absorbent it can be! It looked amazing. I just sat there with my jaw hanging to the floor. Someone on the shop staff snatched it up, and I’ve never seen it since. I’d love to see it today, just to know if I’ve built it up to be more than it ever was. Somehow, I know I’d still be that kid with his mouth on the floor. An amazing talent that will survive the test of time. Rest well Mr. Wrightson— or considering your artistic forte … unrest well.